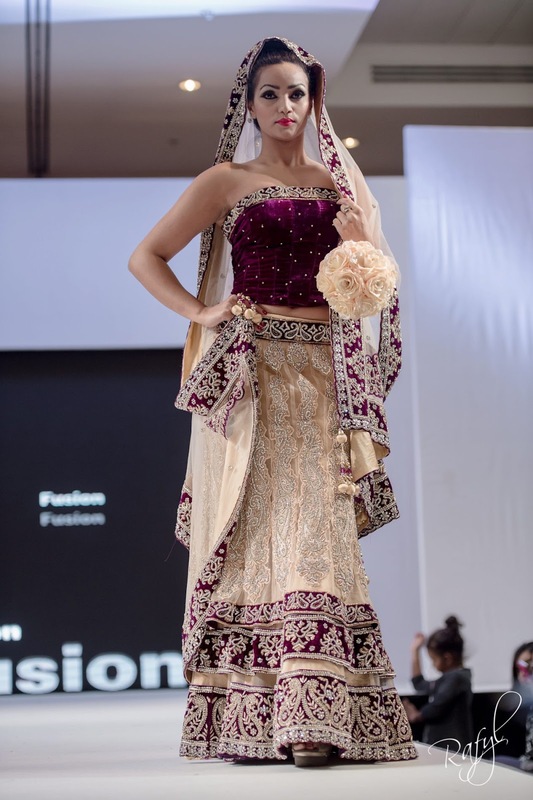 Yesterday I posted some video highlights from last weekend's National Asian Wedding Show in London, and here are some photos so you can view the details up close! 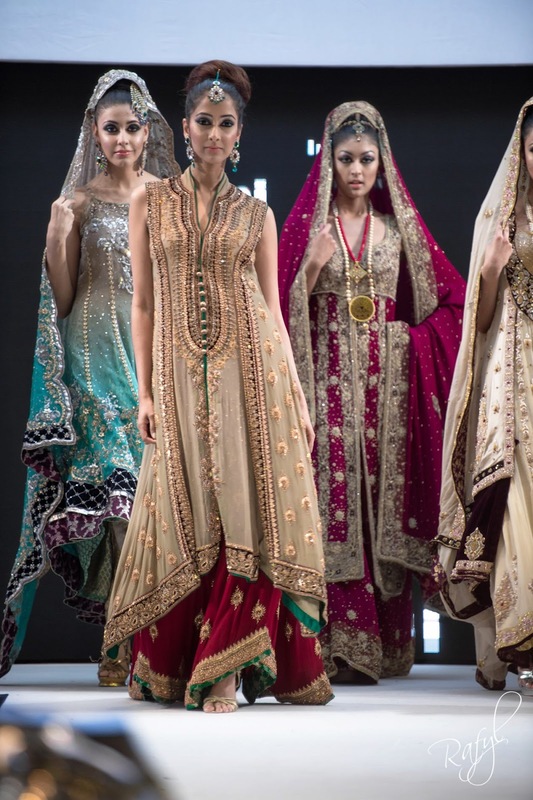 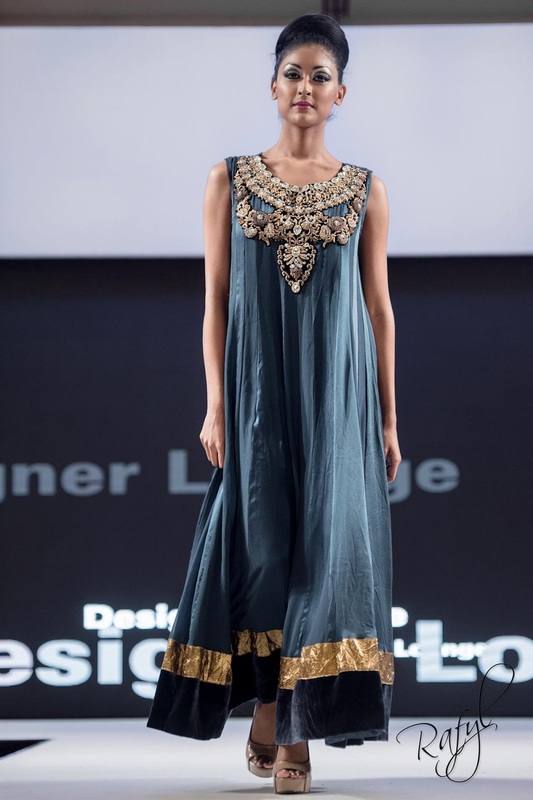 First up was Imani Studio who showcased some asian bridal outfits from Pakistani designers including Maria B.
I know loose-flowing styles are in fashion right now, but I still love these dresses with more fitted tops and pouffy skirts! 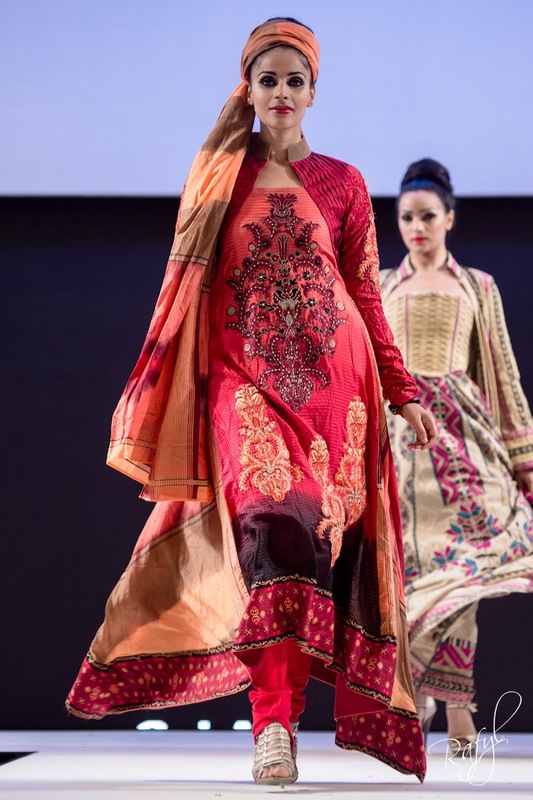 The finale of the show was a collection by Aishwarya which included a range of colours from block colours like hot pink, to more classic colour combinations like red, black and white - all with little details like a mixture of different textures. 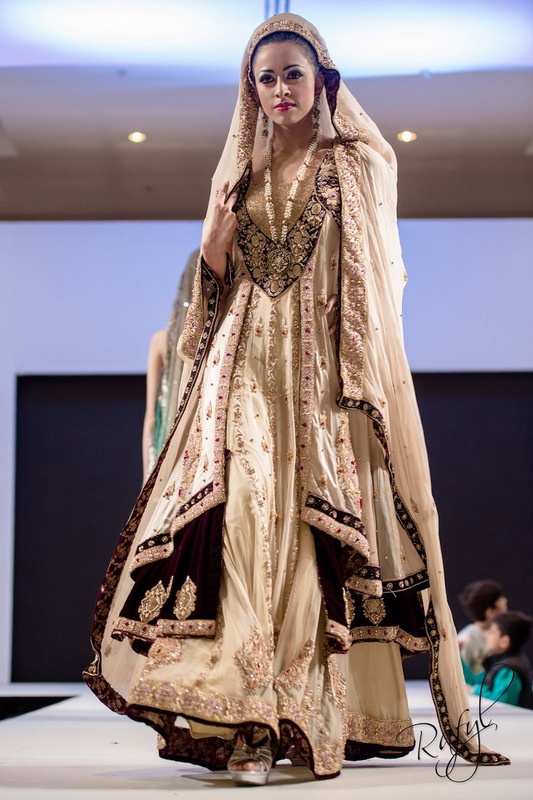 As someone who looks at a lot of catwalk photos, these outfits were the ones that stood out to me the most at this show. 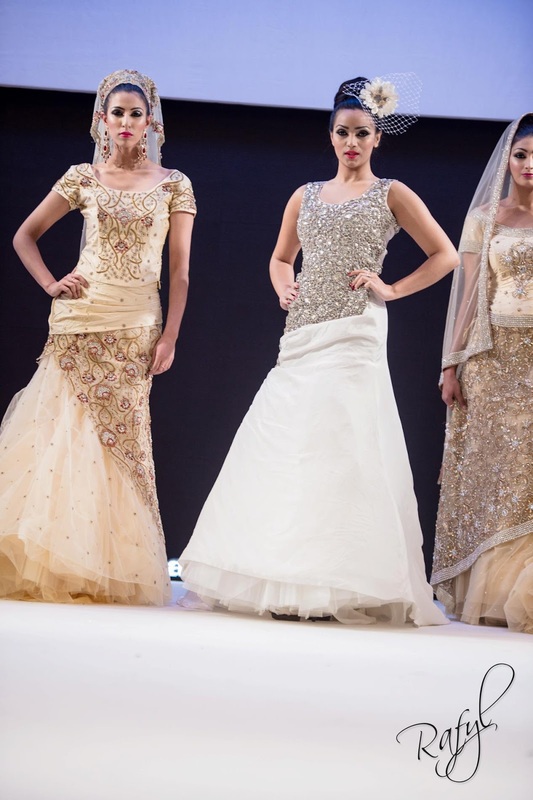 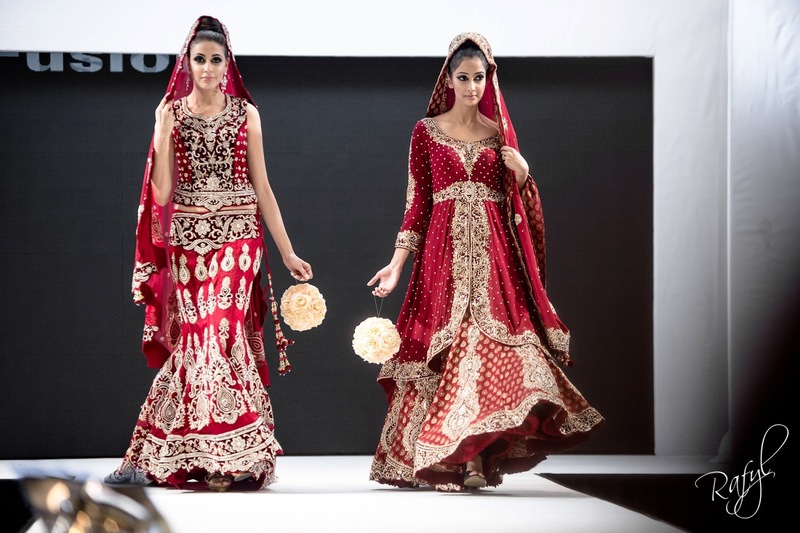 You can view more photos from the show here: 2012 National Asian Wedding Show London. 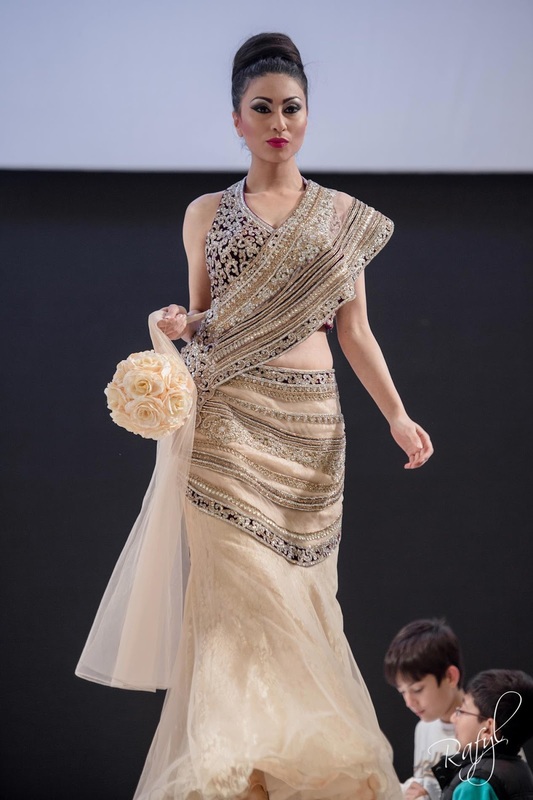 Photo credits go to Rafyl Photography.